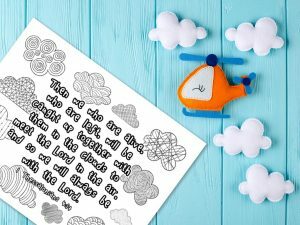 The 1 Thessalonians 4:17 Printable is a simple way of teaching your children this beautiful verse. 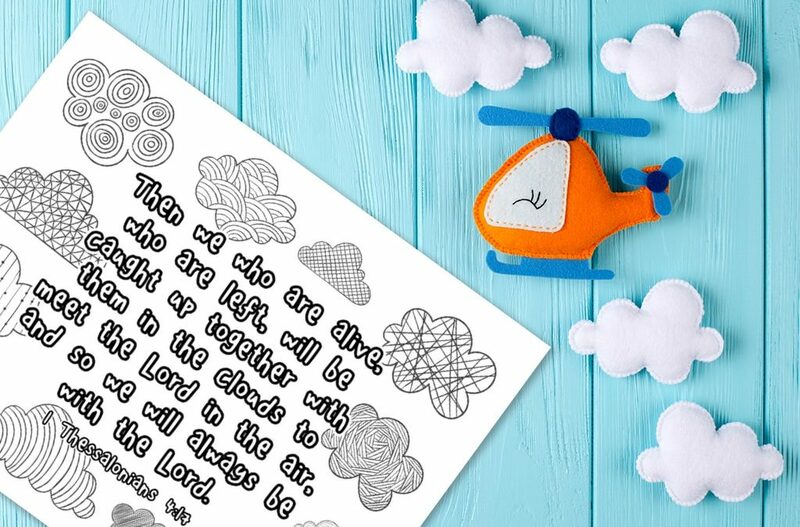 Children will learn to understand what it means to be ‘caught up together’ with Christ and will wonder at how one day we will ‘meet the Lord in the air.’ This is such a great picture of God’s faithfulness and how we will live with Him forever. 1. 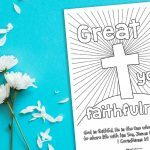 What do you think it will be like to see Jesus face to face? 2. What makes you excited when you think of spending forever with Jesus? 3. How might this verse help us when we feel sad that a friend or relative has died?